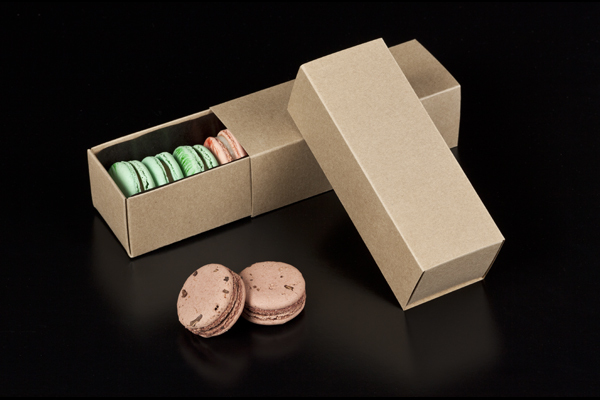 The easily observed organic fibers that comprise our natural brown paperboard makes for an ideal material if you are looking for a warm presentation when showcasing your macarons. This simple but stately sleeve can also be paired with any macaron box base from our catalog to give the specific combination of color you desire for your desserts. Using our macaron box mini cupcake holder you can make a home for your miniature cupcakes too. 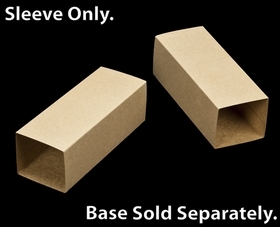 Hi, would a 2" by 2" sticker fit on top of this product? Hello! Yes, a 2x2 sticker would fit. Would it be possible to make a slider box and sleeve that can fit two of the plastic macaron inserts side by side? I have found that the long narrow 12-pack slider box is just too long and awkward for our gift bags.